Located in Lawndale, California is what is a hidden gem in every sense of the word. Orveganic Coffee House and Protein Bar is at the corner of a small dead end street and can easily be missed but missing this place would truly be a sad thing for it is well worth a visit. Orveganic just opened up this past March 2018 but they are no stranger to offering healthy and tasty treats to the South Bay and beyond. They are the brains behind Healthy Butter; nut butter that can be found in several different Farmers Markets around Southern California. Taking the same kitchen where they produce Healthy Butter; the owners decided to expand and open up Orveganic; a cafe offering organic, plant Based and gluten-free dishes and drinks. I had the pleasure of coming to this cute cafe and loved it the moment I came in. Chic and comfy are perfect words to describe the interior where they have light oak wood benches and tables. There are colorful pillows along the seating and a good display of their various offerings. Coffee houses are always my crush and I knew I had to try out one of their coffees. Their coffees have even been chemist tested and there are 0 out of 418 chemicals and pesticides. Each of their drinks are even packed with lots of protein! For my drink choice, I chose to get the Cinnamon Vanilla Maple Latte. The Cinnamon Vanilla Maple Latte was truly a wonderful way to start off my meal here. Warm and nutty; it was packed with healthy goodness. For the entrees; my friend and I chose two of their more popular dishes; the TexMex Tofu Scramble and the Almond Chardonnay Cheddar Alfredo. The TexMex Tofu has peppercinis grilled tofu with tomatoes, red peppers, onions and garlic. It is topped with avocado seed guacamole and is served alongside warm corn tortillas. I loved the mix of ingredients in this dish. The soft tofu along with the tomatoes, red peppers, onions and garlic were simply wonderful. The avocado seed guacamole was creamy and definitely a nice touch. One can really tell it is healthy and homemade. It really reminded me of home cooking. I was quite full after the latte and the entrees; but I’m so glad that I tried one of their desserts! For dessert; they offer mealk shakes, chia pudding, raw jam yogurt and raw ice mealk (their version of ice cream!) I chose to get their raw jam yogurt and it sure was a treat. From the outside; the raw jam yogurt looks simple but inside a pleasant surprise awaits! It is made with cashew cheese yogurt and raw seasonal fruit jam with a hint of maple. I loved the fruitiness that instantly hit the palate. It has a passionfruit taste and was definitely one of the most unique and best desserts I’ve ever had. Small and cute; it can be easy to not spot Organic. 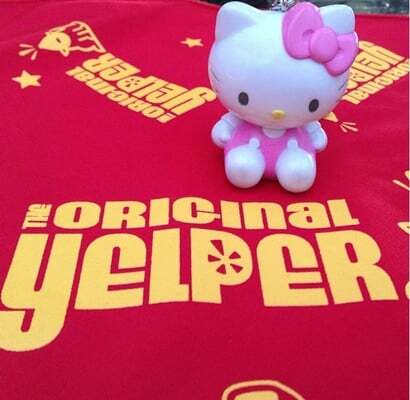 This place however is definitely one that Hello Kitty Foodies and friends should check out. From their fresh, hearty and healthy treats; one is sure to smile just like me. For more smiles, please see my Yelp review on Orveganic. Hello Yelp Elite Event: Cocktails & Cars Casino Royale Style!